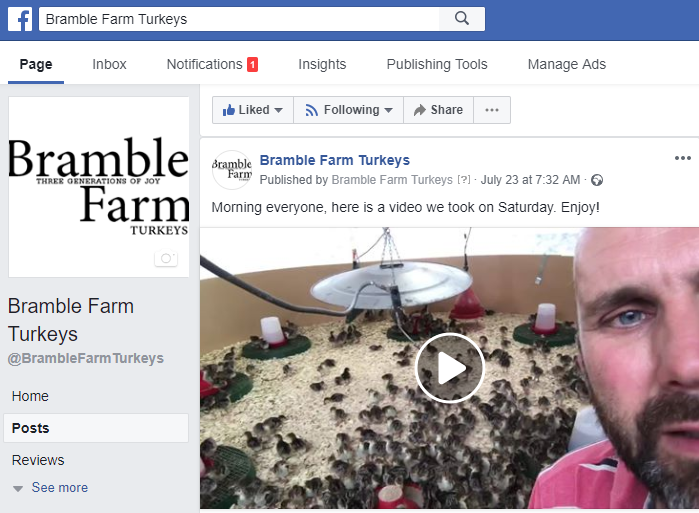 This year the turkey chicks arrived at Bramble farm on Thursday the 19th July. They arrive on the day they were born and settled in immediately, finding their water drinkers and food. If you've never seen turkey chicks, watch a video of them on Facebook taken in their first week on the farm. Adrian Joy tells us a bit about how we look after them in the first weeks and ... why, even though it's summer we need brooder heaters on. What bedding do turkey chicks like?